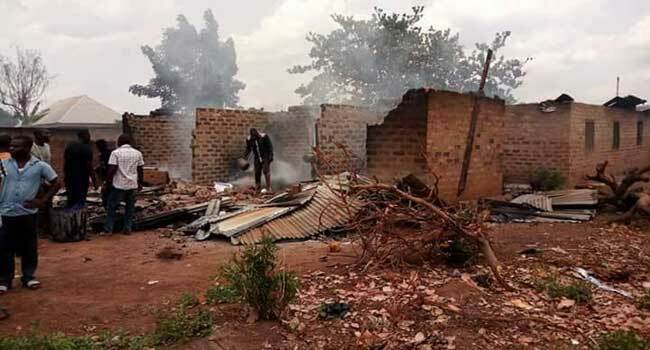 At least nine people were killed in an early morning attack on Tutuwa community in Ussa local government area of Taraba. David Misal, police public relations officer in the state, told reporters that a yet-to-be-identified armed militia must have carried out the deadly attack. Misal said Aliyu Tafida, deputy commissioner of police (DCP) of the command, and heads of other security agencies in the state had already moved in to assess the situation. Rimansikwe Karma, chairman of Ussa local government council, while also confirming the attack to journalists, added that three people were injured. Karma said the attackers rounded up the village at about 5 am and struck when members of the community were going for early morning prayers. “Every Wednesday morning, the community conducts mid-week service and most of them were on their way, when the armed militia attacked them,” he said.